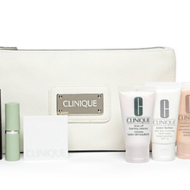 It’s the time we all wait anxiously for — Clinique Bonus Time!! 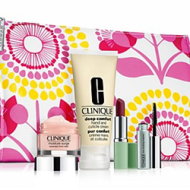 This Bonus Time offer is going on now at Bloomingdale’s, and includes a Free Clinique 8-Piece Gift Set with $32 purchase. 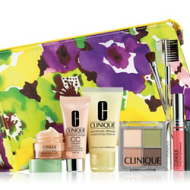 I don’t remember seeing an eyelash curler in a recent Clinique Bonus Time Gift, which makes this set even more special. 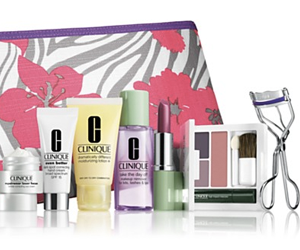 As you know, this free gift will be flying off shelves, so make sure to get your before it’s gone. Available only while supplies last.